The Invasive Animals CRC has published our 2010 Research Portfolio Summary. The Research Portfolio Summary provides information on the full suite of our research activities and includes completed, current and future projects. It's put together in sections, so you can find out what we're doing for specific pest animals and in certain areas (such as our demonstration sites, or in program areas like detection, prevention and education). Pork producers in Australia face a tough task just to survive in the business. It's a competitive environment with low pork prices and high feed costs characterizing the industry. The presence of feral pigs that might transmit an exotic disease in the event of an outbreak can be yet another stress in the management of a piggery. Recently I gave a talk to some Queensland pork producers who were concerned about the possible involvement of feral pigs in outbreaks of pneumonia, which can cost a piggery a tonne of money. Following outbreaks of pneumonia in several commercial piggeries in the State, local feral pigs were found to be carrying the disease as well. This doesn't mean the disease came from the feral pigs, mind you: it's possible they got it from the commercial pigs. But it can't be a good thing. They've got enough footage to paint me as a great conservationist, a right-wing hick, a bleeding heart lefty or a plain old dope. Last Friday I spent a day filming a 60 Minutes segment with reporter Charles Wooley, a cool WRX-blue Squirrel chopper, a mid-size feral boar and a cute-as-a-button piglet. Despite a really heavy cold, it was great fun. Whether it's fun after it's screened Sunday night might depend on whether reporter Wooley caught my cold or not. Our discussion centred on the role of hunting in feral animal control. At the moment, it plays a minor role at best in Australia. Shooters would like to increase that role and in some States have adopted the term "conservation hunting" to reinforce that intent. 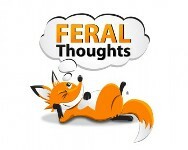 I have no problem with the intent, but I'd argue it isn't yet a reality, and some claims by some shooters that they could effectively take over the job of feral animal management is going way too far.